On Wednesday, the Hungarian Parliament passed what was collectively referred to as the 7th constitutional amendment. This bundle of legislation included, among others, the controversial “Stop Soros” laws, amendments that would punish individuals or groups providing aid to migrants with possible imprisonment. According to wire service MTI, the bill defines the promotion of illegal migration as an organized activity which illegally helps a person not in danger of persecution to submit an asylum request or to obtain a title of residence. A sentence of a year’s imprisonment awaits anyone found guilty of financially supporting illegal migration or gaining from it financially if their activity takes place within 8km of the border. Illegal activities also include surveilling the border and soliciting, collecting or distributing data with a view to promoting illegal migration. Setting up a network to organize illegal migration is also a punishable offence. In addition, the laws stipulate that being prosecuted under charges of crimes in connection with border protection shall be banned from within 8km of the border, except for people who have been residents in that zone for at least 5 years. The amendment package, which is the 7th since the constitutional overhauls Fidesz instituted after regaining power in 2010, also includes provisions that establishes a public administrative high court. 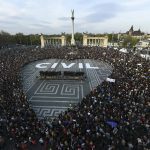 This move weakens the authority of the Supreme Court (Kuria), and has been seen by critics as an attempt to bring Hungary’s judiciary under increasing political control. The package also included an amendment banning homelessness; as we have noted, this seems to be a rather unusual development, because provisions prohibiting people living in public spaces already exist under Hungarian law. In addition, the amendment also states that foreign nationals cannot be resettled in Hungary. Foreign nationals without the right to free movement or residency will now only be allowed to reside in Hungary if the Hungarian authorities approve their request to do so, according to the amendment. Under the amendment, only foreign nationals facing persecution in their homeland or country of residence based on their race, nationality, social background, religion or political views will be eligible for asylum in Hungary. Other provisions of the legislation, submitted by Fidesz Justice Minister László Trócsányi, included a modification to a clause on the authority of the European Union, as well as language emphasizing protections for the home and private life. This passage of the law also included a portion that stating that “the right to freedom of expression and exercising the right of assembly cannot come with a breach of others’ private or family lives or homes,” which critics have argued could easily be used to limit protests and other assemblies that the government might disagree with. The amendment package, which required a two-thirds majority, was passed with 159 votes in favor and 5 against. 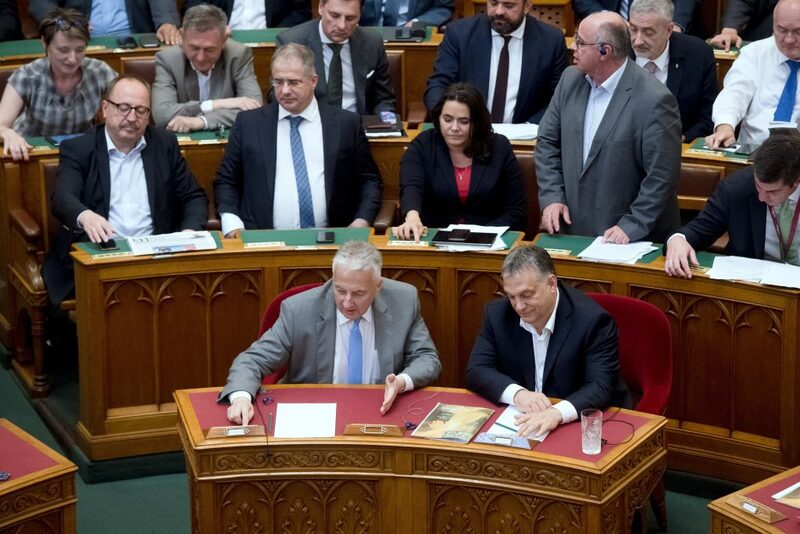 It was supported by the ruling Fidesz-KDNP coalition, lawmakers of radical nationalist Jobbik, former Jobbik and currently independent MP Dóra Dúró, as well as Imre Ritter, representative of the German minority and a Fidesz ally. 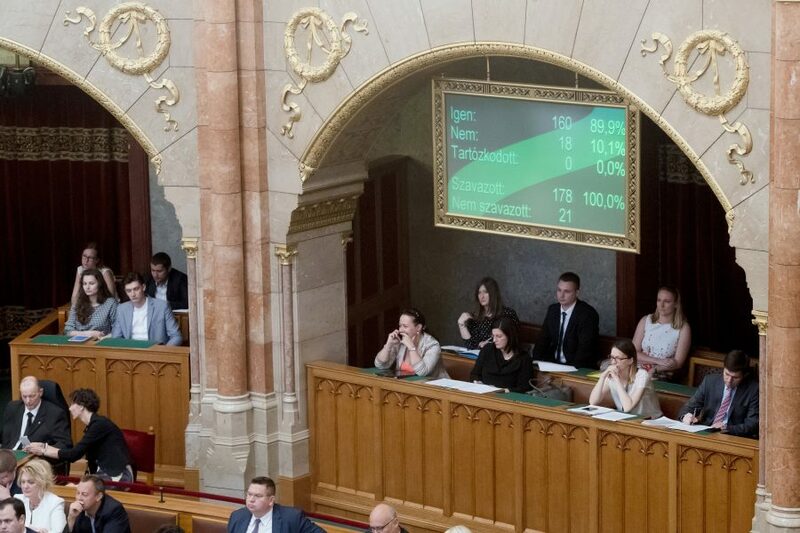 Ákos Hadházy, who recently announced his decision to quit green opposition LMP, voted against the amendment, as did the four lawmakers of the opposition Párbeszéd. MPs of the Socialist Party, LMP and the Democratic Coalition did not attend the vote. It should be noted that all of the amendments noted above must be signed by János Áder, President of the Republic of Hungary, before they can enter into law. 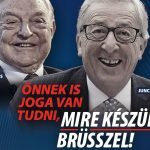 In addition, as has been noted elsewhere, the language of the “Stop Soros” legislation (whose unofficial English translation you can read in full here) is rather vague and would potentially violate EU and international laws and treaties that Hungary is a party to, including the Geneva Conventions‘ regulations on the treatment of refugees. For the most part, Fidesz’s passage of the 7th amendment package was met with condemnation by Hungary’s opposition parties. primarily an attack on the independence of the judiciary. Speaking at a joint press conference with Párbeszéd co-leader Gergely Karácsony, Tóth said ruling Fidesz “wants to create a tame court of justice” where government officials can make decisions which are otherwise the prerogatives of judges. Fidesz “has tried setting up administrative courts before”, but failed to garner a majority, he noted. The Socialists “are not going to assist to this propaganda move,” he said, adding that the parliamentary group decided to stay away from the vote. which Fidesz likes to call rock-solid, is more like candy floss. Radical nationalist Jobbik, whose MPs had backed both the “Stop Soros” law and the constitutional amendment, said that the directions of the amendment were correct but “its means are insufficient” to achieve its goals. Jobbik MP Ádám Mirkóczki insisted that the final draft was very different from the original proposal, and said it was an “illusion” that it could be enforced. He argued that while the proposal was originally drafted “to prevent any form of migration”, entrants from Serbia, a safe country, should be granted asylum under the Geneva Convention. In addition, he claimed that no homeless people will be arrested under the amendment.